The main issue being tackled here is to get teens interested in science and since the nations teachers can't seem to do that job Channel 4 has decided to raise awareness of genetics and bio-ethics amongst 14-19-year olds with a new project, Mind’s Eye’s, an interactive drama/thriller for Channel 4, reaches its audience via online, broadcast and live events. The project, fronted by Katherine Ryan, investigates the human genome by taking a DNA test. We follow her story over 8 weeks she subjects herself to a series of genetic tests to help uncover what's hidden in our genes, such as sexuality, personality and diseases. However, all is not as it seems and over the course of 8 weeks a story develops that nobody could have seen coming. 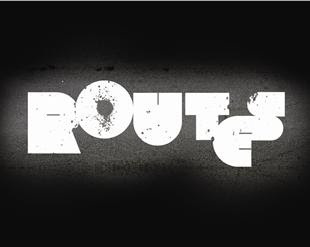 Routes, aims to engross and involve the audience on a much deeper level. The fact that it is a show that is based around learning about science is neither here nor there. With it run across multiple websites, live events and mobile as well as the TV channel itself it aims to conquer a variety of channels in order to form an infotainment assault on its core audience. This audience are all media saavy and are a generation brought up with social networking, mobile phones and the internet, a programme like this is only encouraging them to mobilise and get really involved with the show on a deeper level and this sort of engagement can only help the learning process become more interesting and meaningful. Register below to get involved and play along. There is a great article on Contagious about our Channel 4 Routes project. Charlie Phillips directed all of the video content for the project, which runs for 8 weeks across TV, online, mobile, gaming and live events. this is really exciting and also well thought through - the characters all have backdated blogs and websites. the campaign uses all sorts of media - youtube vids, blogs, games and widgets to make it even more engaging. love it - looking forward to watch the mystery unfold! I've just heard that the scientific advisor on the Channel 4 Routes project has mysteriously disappeared. Help find out what happened to him!